Looking for fresh restaurant marketing ideas? Need advice on how to use social media for bars and restaurants? 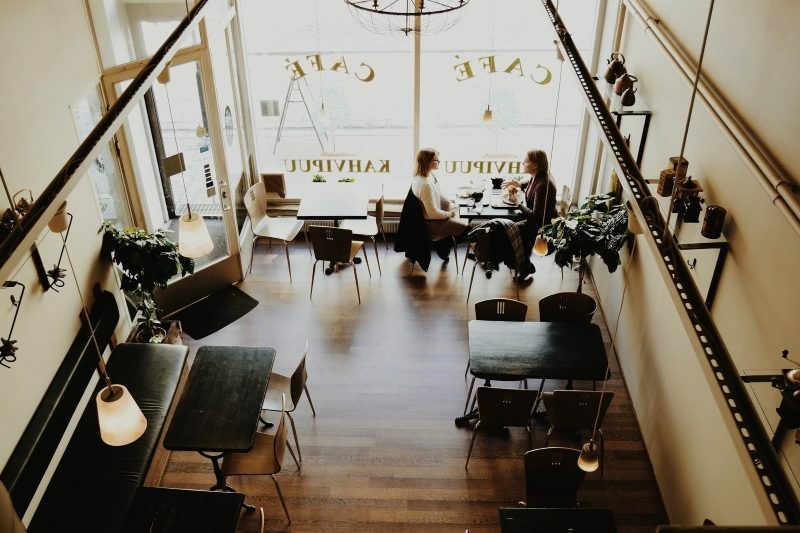 The competition among restaurants is fierce so you need a comprehensive online strategy to survive in today’s market and to grow a successful business. It goes without saying that social media marketing should be an essential part of your online marketing plan. Wondering why? According to a recent survey, 75% of internet users purchased a product because they saw it social media. 61% of consumers find restaurants and bars from different social media channels. 90% of businesses admit their using social media increases their exposure. More than 50% of business owners say that the use of social media improves sales. As you see, your customers are on social media now. So if you are not visible and active on social media platforms, you are missing out a large customer base and a ton of free publicity. Social media for restaurants is a powerful way to market your business and get in front of thousands of locally targeted customers. In this article, we are going to discuss effective social media restaurant marketing strategies that can help you get a competitive advantage. You will learn about the social media platforms that are best for your business, what content you should be posting, and which marketing strategies provide the greatest ROI. You will also find here 9 restaurant promotion ideas that really work. Social media networks created an absolutely new paradigm in customer relationships. Such platforms give you a great opportunity to connect and interact with your potential customers in real time and get noticed. By having an account on social media, you can give your customers a chance to leave reviews and comments, mention your restaurant as a place to celebrate special events in their lives, and share photos. Every restaurant and bar is different so you need to develop a unique social media strategy that works for you and create with your customers in mind. In this article, we will cover the basics of restaurant marketing to help you get started. What Are the Best Platforms to Be on? All social media platforms are different in their own ways and you need to identify social media channels appropriate to your target audience. Then you will be able to focus your effort and use your resources better. You should make an analysis of your customers’ behavior to understand which social media platforms they prefer and what kind of content they like. If you have a limited budget and can run only one social account, we recommend you to use Facebook which offers an access to the biggest audience, a wide variety of engagement opportunities, and an integration with a lot of marketing tools. This social network has the most diverse audience and gives you a lot of options for interaction. On your business page, you can easily include information about your restaurant’s address, opening hours, and the busiest hours. You can also add a Book Now button, allow reviews, add cuisine type, and upload the restaurant’s menu. Your customers can upload photos to your Facebook page and tag you in those photos, view your menu, leave a review, and use messenger to reach out to you with questions. You can build a local following and engage your customers with special restaurant promotions, fun questions, polls, contests, and sweepstakes. Use photos of delicious food as your cover image and include plenty of food images in your regular updates. Embed videos to show backstage (e.g. how your food is cooked) or make an interview with your happy customer or your chef. Take advantage of specific niche targeting that Facebook offers for ads and geo target your posts. Don’t overlook Instagram. This platform is entirely photo-based and is a great place to promote your visual content. According to surveys, 69% of Millennials typically photograph their food before they eat it and post pictures on Instagram. But you shouldn’t rely only on Millennials – you should post a lot of mouthwatering images yourself and let people see them. A good idea is to post photos of your delicious menu items. And you should avoid using too much promotional text while posting your photos so they won’t look like ads. You should use tags to sort and categorize your photos and make them easier to find because users typically use hashtags when searching the content. It’s important to use relevant trending hashtags. Share pictures of your guests with their permission. Surveys reveal that Instagram photos with happy faces typically get 38% more likes than photos without it. Don’t forget to engage your customers, and get them talking while taking part in short discussions of pictures, posts, and videos. Consistency is very important so you should make a posting schedule and always plan ahead. The most successful brands on Instagram post on average 4.9 times a week. Set up contests and you will get a lot of user-generated content. You can acquire new followers using sponsored posts and target your ads to specific demographics (interest, gender, age). Besides, you can try non-paid tactics and follow other page with specific types of customers you want. Use the following tips for your restaurant Twitter marketing. Include delicious looking pictures of your food. Include links to your men in your tweets. Use hashtags in your updates. Promote your restaurant with discounts and free coupons. Geo target your ads on Twitter to get them in front of the audience in the right location. This platform is not very friendly for restaurant marketing because it is based on sending and receiving specific content that exists only seconds before disappearing. That’s why you may need to make some extra effort to come up with successful restaurant marketing strategies for this social media network which is very popular among teens in the USA. Your content should be centered on taking pictures and creating videos and making them fun with captions, doodles, and Geofilters that are unique for a specific location. 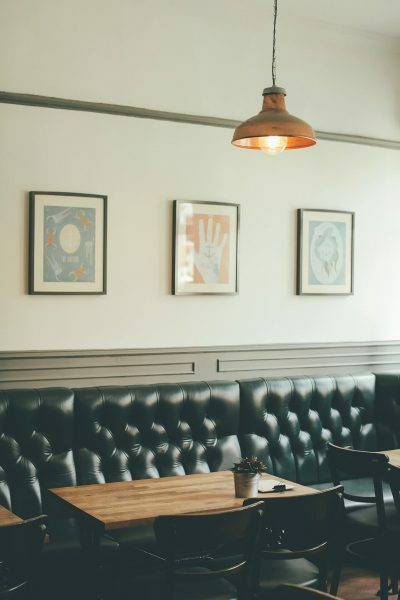 Wondering how to draw a crowd to your restaurant? Here are some easy tips. Create an interesting event and do everything to ensure that people can find it. Use videos and live streams on Instagram, Facebook or Snapchat. Reward your customers that check-in or interact with your brand for their loyalty by offering free entrance, drinks, and appetizers. Create a space that is great for selfies to attract customers and promote user-generated content. Use trending topics to create social media content. Feature your employees in social media posts. It’s important to track the activity happening on your social media sites. You can use different social media management tools such as HootSuit, Buffer, and others to streamline your tasks, save time, and improve the efficiency of your marketing campaigns. You will be able to analyze your social media marketing strategies using report features. With restaurant promotions, you can reach new and existing customers if you inform people about them on social media platforms. 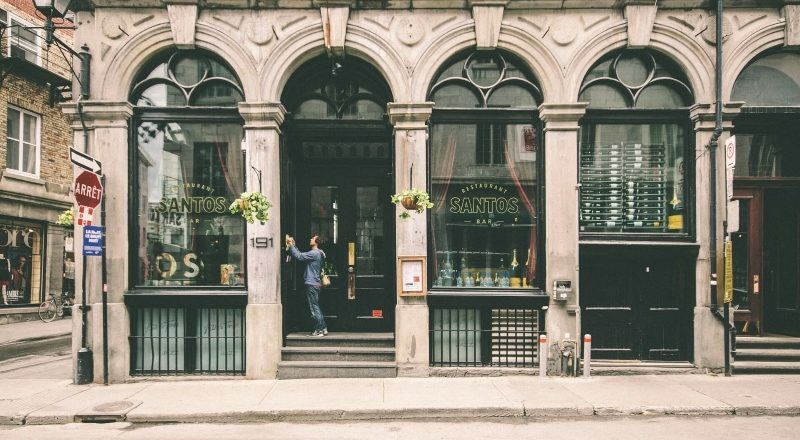 The way how promotions work depends on the type of your restaurant, its size, and design. Many promotions are easy and affordable and others require time to plan. Here are some promotion ideas. Organize your promotion around a nearby big event such as a festival, concert or a local sporting event. For example, you may offer a discount for people who have a ticket for a local basketball match. Offer discounts to people who come to your restaurant frequently to award them for loyalty (consider a high enough number of return visits). Holidays can be very profitable promotions for restaurants. For example, you can offer your customers Halloween costume contests where the best costumes get gifts. In this way, you can have your customers link, share, and tag you on their social media channels. Buy in bulk and upsell. You can offer a discount or a gift card to your customers who buy a certain threshold of an offering. You can also coupons to offer deals for people who follow your social media accounts. In this way, you can increase the number of your followers. Limited-time offers during slow periods are very successful with consumers due to the phenomenon of human psychology – fear of missing out. Sweepstakes and contests are very effective, especially if you organize them using social media. You should keep your contests simple and promote them widely. For example, you can run a foodie photo contest and ask your followers to share their most delicious photos. Your followers can vote to choose the winner or you can do it yourself. Quizzes and surveys can help you educate your clients about your restaurant and receive useful feedback about their tastes and experiences. Besides, your customers get a strong motivation because you offer them a prize. You can use Facebook, Twitter, and Instagram giveaways to increase engagement and advertize your restaurant to followers. Promotions are useful and effective tools in restaurant marketing. You can use them to reach new people, to engage with your existing customers, and build loyalty. It’s important to choose the right promotions for your restaurant to achieve your business goals. When planning your restaurant promotion, you should choose an attractive prize and define clear rules. And you should take measures to ensure that the contest is fair. Need Help with Building Restaurant Marketing Strategies? Presence at social media is very important for any restaurant and bar to succeed. Social media platforms allow brands to market and advertise their food and overall experience. By adding social media to the marketing mix of your restaurant or bar, you can increase your brand awareness, boost motivated engagement with the food you offer, and get you more customers. As digital marketing gets more complex, creating a successful social media marketing campaign for your bar or restaurant is not easy. If you are looking for a digital marketing strategy for your restaurant, Extrabrains can help you drive new customers and grow a successful business. 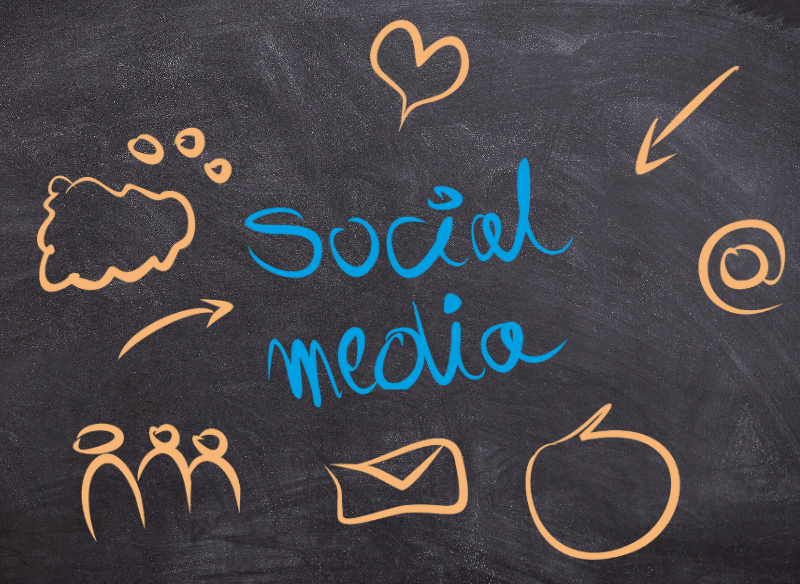 We can help you develop effective social media marketing campaigns to make new connections and maintain loyal customers. Our social media marketing experts can take you from set up to the implementation of successful restaurant marketing strategy that fits your restaurant and your budget. We will develop engaging content that is consistent with your brand and brings value to your guests. Contact us and schedule a free consultation to learn how we can help you establish you as a brand, attract new customers, build lasting relationships with them, and outperform your competitors.